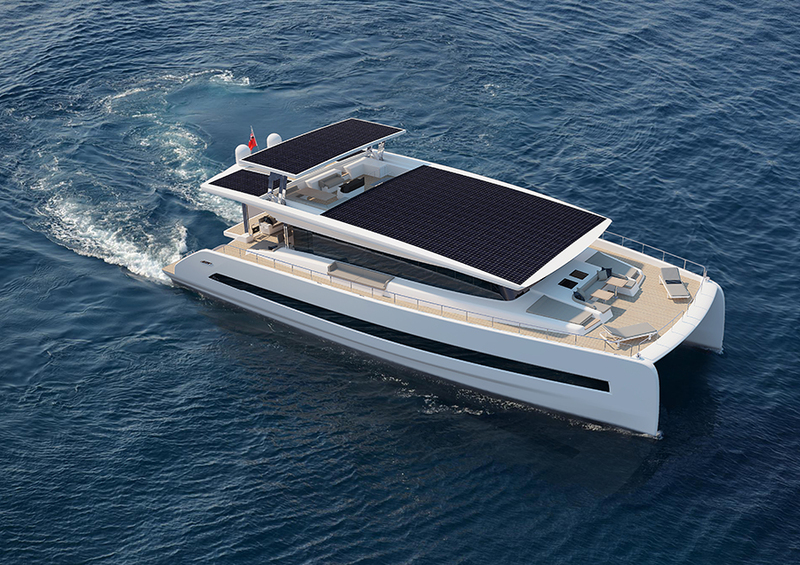 SILENT-YACHTS, the Austria-based producer of ultra-innovative oceangoing solar-powered catamarans, is making a big leap in size introducing its largest model to date. The spacious and stylish SILENT 79 is now under construction at a shipyard in Marotta, near the Italian shipbuilding capital Ancona. Three units are under construction, two have already been sold, and the first unit is to be launched in 2020. The SILENT 79 exterior is clean and timeless with straight lines of huge windows. They also allow abundance of natural light filling the saloon and guest spaces while providing panorama views throughout. 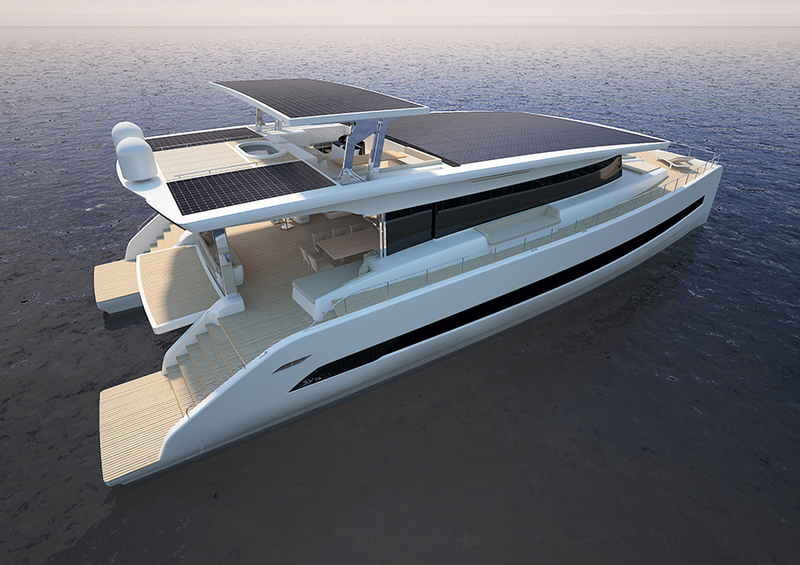 Carrying solar panels, the flybridge adds sportiness to the look thanks to horizontal air grills inspired by supercars but with an eco appeal. Both aft and forward outside spaces are spacious to host large, yet intimate, social areas. 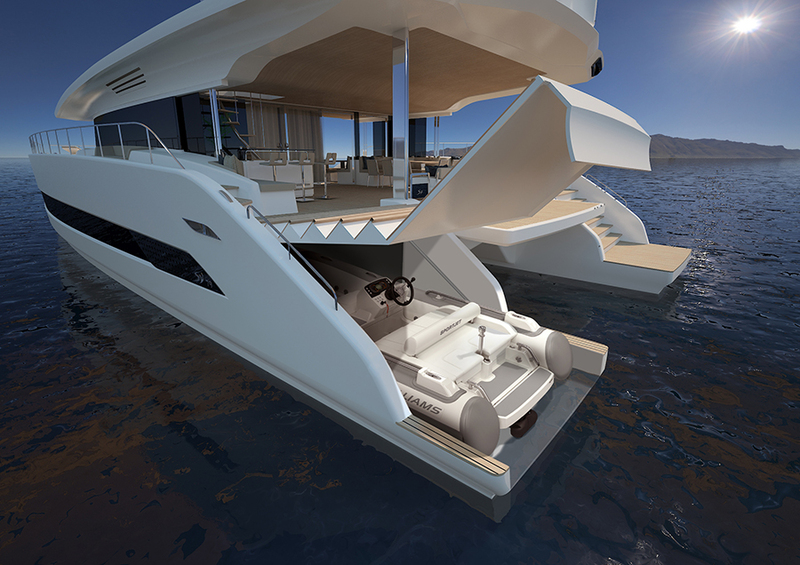 The cockpit in the aft has a lounge and a bar, while the front area is perfect for chilling under the sun, as it is equipped with a sea-facing sofa and sun pads. 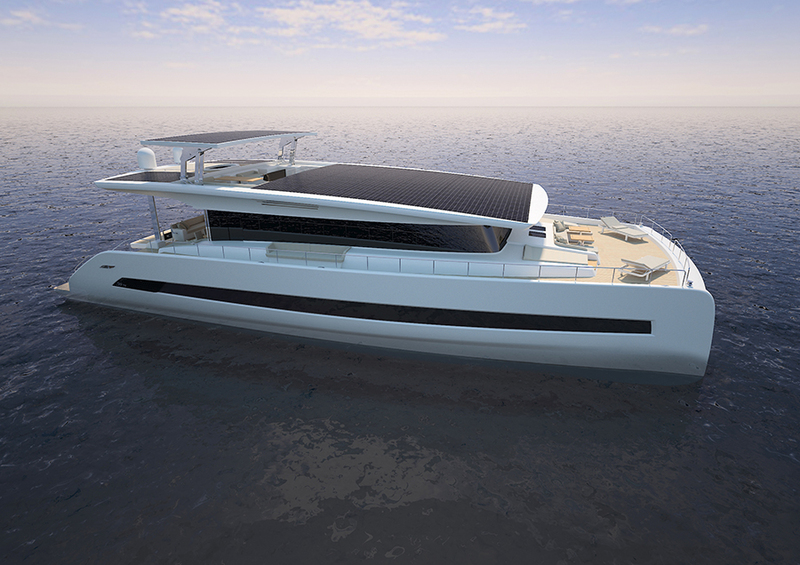 Like the SILENT 55, the new SILENT 79 is an oceangoing solar-electric catamaran that uses silent electric propulsion for unlimited range without noise or fumes and minimal vibration, she is self-sufficient and virtually maintenance-free. 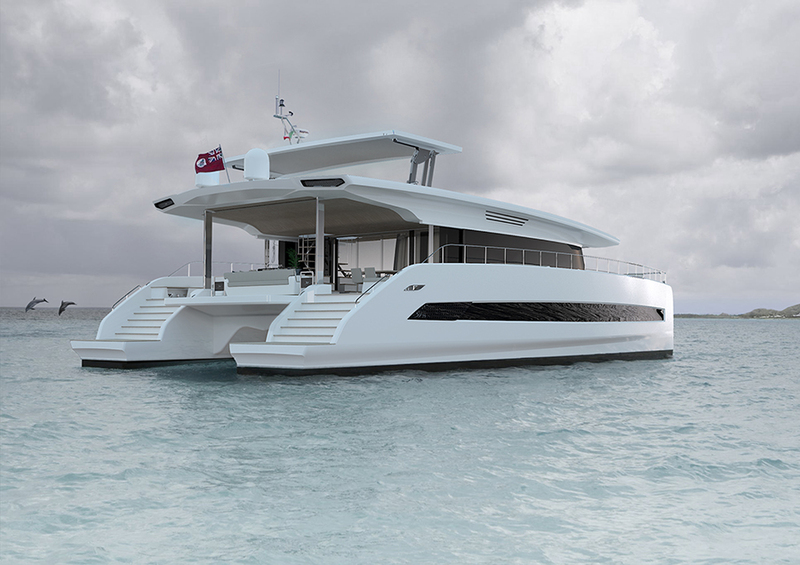 The catamaran is fitted with a pair of electric engines (50 kW each in standard “Cruiser” version, 250 kW each in “E-Power” version) and common shafts. In the most powerful version, the SILENT 79 can reach up to 20 knots but this yacht’s mission is not focused on speed for sure. However, it offers total autonomy with no fuel, fumes, exhausts or noise. The SILENT 79 has a generator too but this is only used to recharge the batteries in the rare case when a higher speed is required for longer periods of time or if the weather is bad for several days. The SILENT 79 is available in several different layouts. You can find a huge saloon on the main deck, benefitting from an enormous 10.95 m width, with a galley inside, a lounge and a dining area. The lower deck is fitted with 4-6 guest cabins and two crew cabins. All staterooms offer double or twin berths, and all heads include a separate shower. Other layouts are available on request. 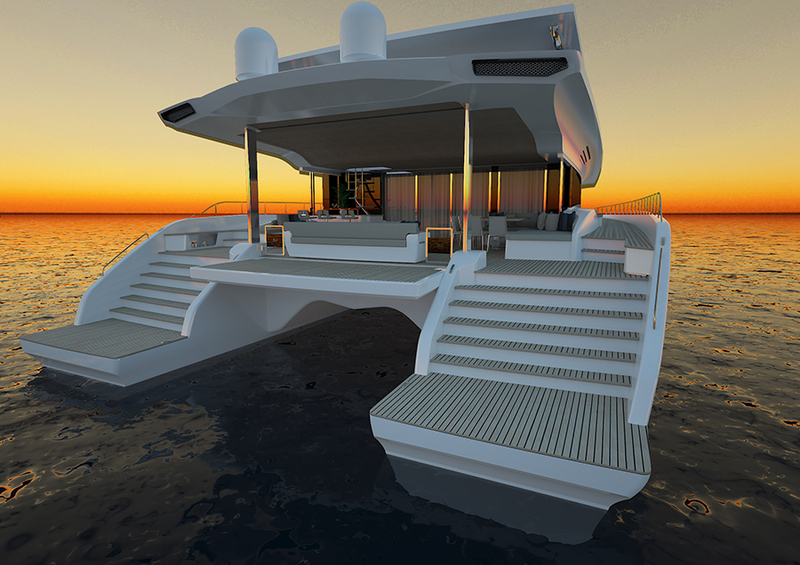 The interior of the SILENT 79 is completely customizable on the level of superyachts. Since the SILENTYACHTS’ heritage is about being green and eco-friendly, the yacht is principally decorated with lightweight and recyclable materials that respect the environment. The base price of the SILENT 79 is 3.4 million Euro, many options are included as standard, which usually requires extra payment.